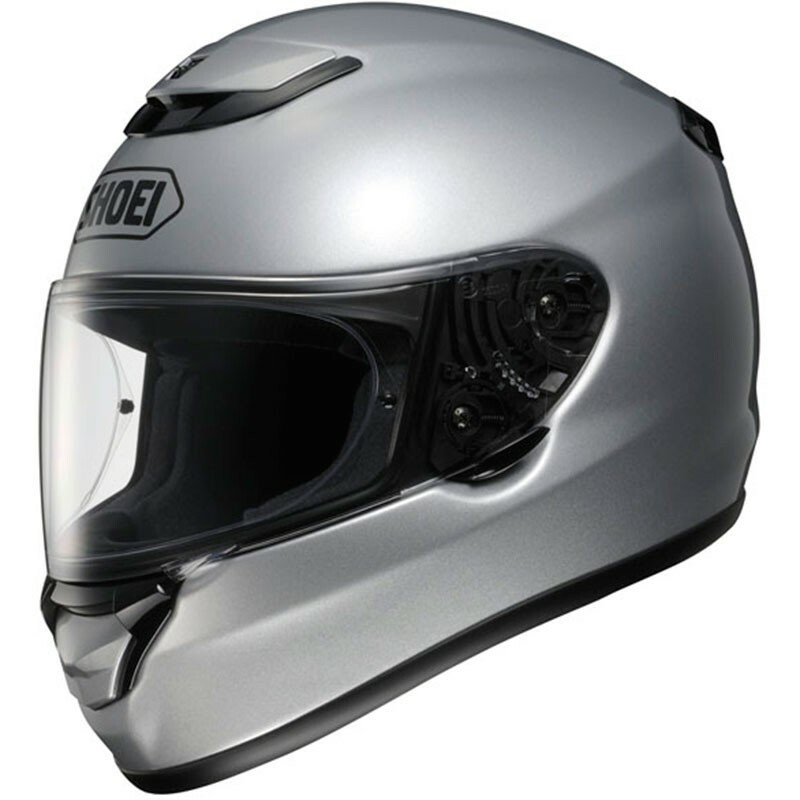 Leader on the sector of the top of range helmet since 1958 Shoei proposes to you his homologated fiber full face moto helmet the Qwest Solid. 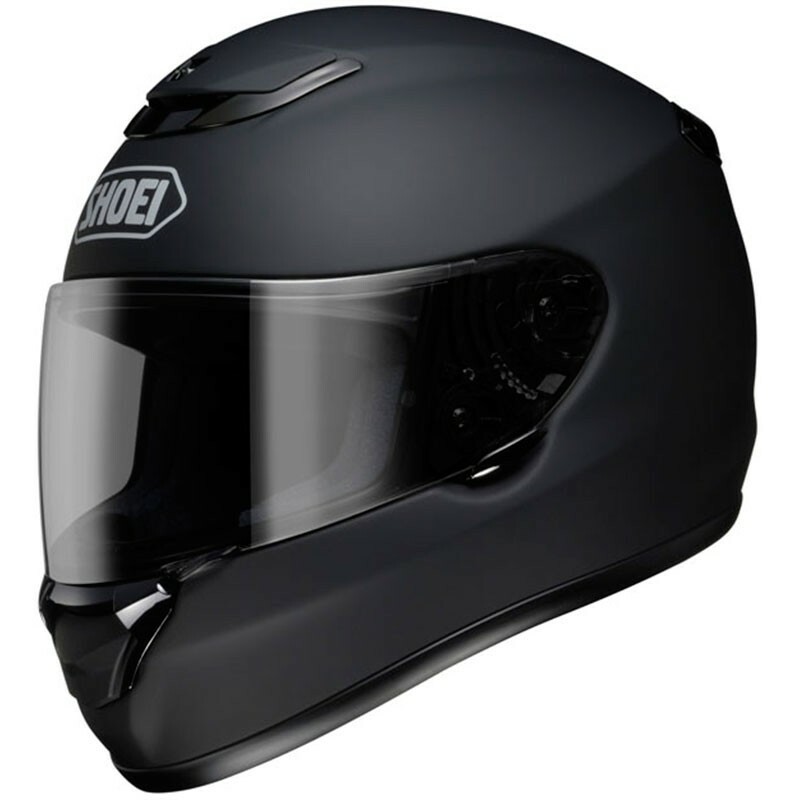 The new Shoei QWEST has all that you can expect from a SHOEI, with more than 50 years of experience in the manufacturing of motorcycle helmets and as the inventor of the high technology for the industry. 4 sizes of skullcap Sizes: 1) XXS-XS, s-2), m, L) 3 and 4) XL-XXL. Noise reduces of more than 60 % with regard to(compared with) the Raid II -2,2 dB. 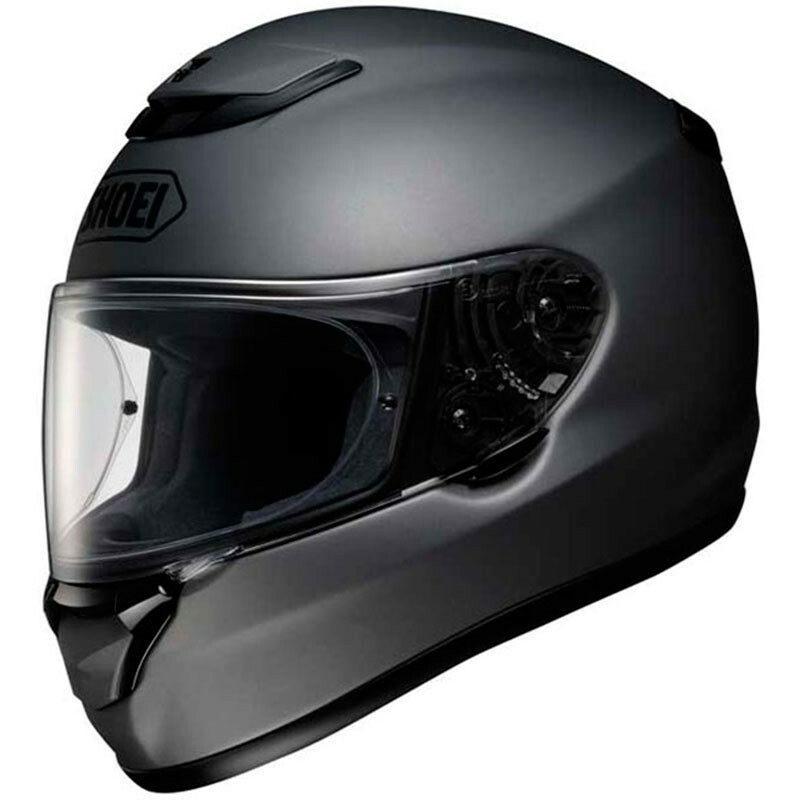 Multiple ventilations and extractors for an optimal ventilation.